Dr. Ensaine is renting the space out from us to run his dentist practice. We’ve heard a lot of weird noises and frankly, we are too scared to check it out. You are here for your 60 minute appointment and we need you to let us know what is going on. As you take a seat in the waiting room, don’t mind the screams, Dr. Ensaine’s current patient probably has a cavity. Ever since that one episode of Escape This Podcast, (which can be played as a text adventure here!) I’ve wanted to play a dentist themed escape room. As one of the most enduring fears most people have, a trip to the dentist seems ripe for a horror themed room, so I’m somewhat surprised that we haven’t found one until now! As we entered the waiting room, I was excited to see what horrors awaited us, despite the doctor’s unfortunately punny name. While we weren’t overly impressed with the first half of the game, in regards to the set and game flow, there was a particular surprise we encountered during the latter half of the game that made the game a bit more exciting and fun to engage with. The use of space during this part of the game is interesting, and the props here were tactile and very enjoyable to play around with. There are a couple very clever puzzles here as well, both of which we found presented their solutions in ways that challenged how we looked at the room. For the most part, the set is incredibly basic. It certainly fits the theme of “unfortunately named dentist rents out space from an escape room company,” but does very little to impress visually. One puzzle became needlessly complicated when we found that one of the three identical necessary components we used was not working. To remedy this, our GM came in and brought us one replacement. With no idea which of the items was the offender, we had to waste a fair amount of time guessing and checking which item needed to be removed, until we were finally able to move forward. There were also a few puzzles that just weren’t integrated into the game flow very well. At these points, logical leaps were either made, or the gameplay ground to a halt. There was really no middle ground, and most times we were correct, we prefaced our solution by saying, “So I know this is probably dumb, but…” Overall, the room suffered from a lack of solid connective tissue keeping the flow running smoothly. One specific interaction was not only a bottleneck for us, but an enormous time sink. It’s a fairly ubiquitous puzzle for escape rooms, and when we first identified it, we figured it’d be pretty standard, but as we attempted it we found that it was probably one of the worst implementations of this sort of task we’ve seen. Put simply, there’s just too much going in in too small a space, with too many restrictions for it to work as a fair challenge. There are also just too many locks that are solved by finding a random number and entering it. Escape room puzzles have progressed too far by now to justify the inclusion of this sort of banal interaction. Story-wise, the game has the skeleton of something interesting, but is never really explained satisfactorily. I understand that there’s creepiness in not knowing the why, but in an escape room, where a huge component of the fun is discovery, it’d be nice to be able to delve a little further into the demented story of Dr. Ensaine. Dr. Ensaine presents a bevy of good ideas that are, unfortunately, not capitalized on as well as we had hoped they’d be. 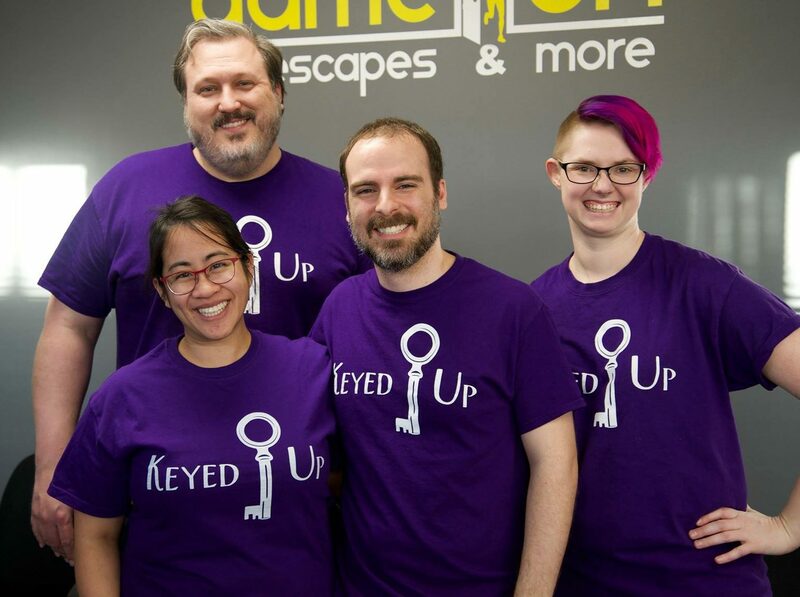 A room that very much has its roots in the early days of escape rooms, it would need a lot of updating and overhauling to its set and game flow to be able to compete with the powerhouse rooms that can be found in Richmond. In fact, it is dwarfed by Room Escape USA’s own Rock Star, which I would recommend trying out instead. If you’d like to try your hand at escaping the good doctor’s Ensanity, you can do so here. Full Disclosure: Room Escape USA provided media discounted tickets for this room.